The World Health Organization released a new report about CBD. The World Health Organization (WHO) issued a Critical Review Report (Report) on cannabidiol (CBD) on June 7, 2018. The Report had a number of positive things to say about CBD. Unfortunately, it misstated the law, an issue I’ll discuss in this post. The Report is an update and extension of the Pre-Review Report on CBD that was prepared by Professor Jason White of Australia and released in November 2017 (Pre-Report) to the Expert Committee on Drug Dependence (ECDD). The Report was one of several issued about cannabis during a meeting in Geneva, Switzerland by a group of international cannabis experts. It was prepared by Dr Sharon Walsh and Dr Susanna Babalonis of Kentucky and J. Rehm of Canada and presented to the ECDD. 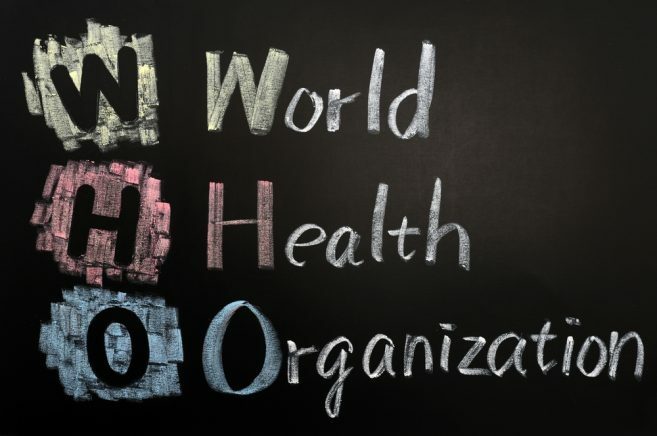 It is the first of many steps by the WHO to deliver a recommendation to the UN secretary-general on the “need for and level of international control” of cannabis, which could have a major impact on marijuana legislation internationally. The Report is similar to Dr. White’s Pre-Report from the Fall. Consistent with the earlier report, it found that CBD “exhibits no effects indicative of any abuse or dependence potential”, “may be a useful treatment for a number of other medical conditions”, and “is generally well tolerated with a good safety profile”. It also found “no evidence of recreational use of CBD or any public health-related problems associated with the use of pure CBD”. Although not unexpected, these follow-up findings in a second report by one of the most respected international health organizations is a boost for CBD. Despite a significant international ramp up in CBD marketing, sales, and use during the past two years, CBD knowledge is still lacking across a number of sectors. Many people in the USA, including law enforcement, still equate CBD with synthetic cannabinoids, tetrahydrocannabinol (THC), and even contend that people use it to “get high”. I’ve seen too many uninformed press releases and breathless news reports discussing the purported dangers of CBD, and I’ve had a number of frustrating conversations with law enforcement officials who were uniformed about CBD but adamant in their incorrect positions that it is a scheduled compound. For these reasons, every official report that provides additional education about CBD helps to reduce the amount of misinformation about it. The WHO Report is no exception. The bad news is that the WHO got it wrong about CBD’s legal status in the USA. In a section entitled “Current and Past National Controls”, the Report says the following about the USA: “CBD is one of many cannabinoids present in cannabis, and as such is in Schedule I of the Controlled Substances Act”. This is dead wrong. However, given the tangled state of legal affairs regarding CBD it is not surprising. To be clear, CBD is not scheduled in the federal Controlled Substances Act (CSA). (Take a look. You won’t find it.) Also, and importantly, “cannabis” is not a controlled substance in the USA. “Marijuana” is a controlled substance, as are derivatives of it (see, for instance, the Marihuana Extract Rule). It is true that CBD derived from marijuana is also controlled. This is because CBD derived from an unlawful source is itself unlawful. But that’s just the beginning of the inquiry. There are legal forms of cannabis, including industrial hemp, non-psychoactive hemp, and the mature stalks of the plant, which are an exception to the definition of marijuana. (Additionally, CBD can be derived from sources other than cannabis.) When CBD is derived from a lawful source it is lawful. With all of the above information and documents widely available in the public domain why did the WHO, which does a remarkably good job on scientific vetting, get the law so completely wrong about CBD? The answer is anyone’s guess, but I continue to believe that the Marijuana Extract Rule, which used the term “cannabis” instead of the proper legal term of art, “marijuana”, started us down this journey of misinformation and confusion. Although each subsequent clarification- statutes, court rulings, and even DEA releases- provides further confirmation that CBD is lawful if its source, such as industrial hemp, is lawful, these clarifications also serve to muddy the water by adding layers of complexity to what is, essentially, a very straightforward issue. What is needed is a clear and concise statement that CBD is lawful if it comes from hemp. Fortunately, it appears that we’ll get such a statement soon if the Hemp Farming Act of 2018 is enacted, which all indications point towards occurring by this Fall. A version of this article was originally published in the Cannabis Law Report, June 12, 2018. Thanks to Sean Hocking, John Taylor, and the entire CLR group for their excellent journalism about the cannabis industry.